The Pew Pew is Strong with This One! In a surprising turn of events, an HD version of 2007’s Spaceforce Rogue Universe hit Steam recently. Apparently the developer re-acquired the rights to their game, and re-released it with some updated graphical and bug fixes, among other things. 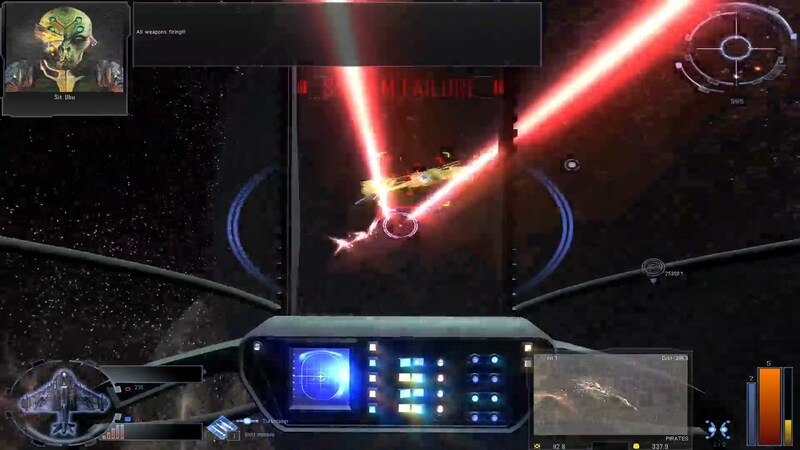 This game is a space simulation that has both a story mode and an open mode, and in story mode, you play the son of a slain fighter pilot looking for his lost sister. In either mode, you can fly around from various systems at your leisure, taking missions, buying and selling cargo, engaging pirates (and other factions why just don’t like you) and so on. When I first played this game 8 years ago (of course I owned the original) I wasn’t too keen on it for whatever reason. The game has an insanely basic tutorial, but still leaves you to find a lot out on your own, so maybe at the time I wasn’t ready for that. Now, however, in playing some of the story mode, doing missions and such, I’m having a good time with the game! You should check it out if you’re looking for a space sim fix, as it might fit the bill. I’m certainly enjoying it, so I hope you do too. Thanks for watching!